How is Past Relevant Work Decided In a Social Security Disability Case? The analysis of “past relevant work” in the context of a Social Security Disability case is important. The reason that this analysis is important is that at step 4 of the sequential evaluation process, a determination must be made about whether a claimant can perform his/her past job. There are three main issues to consider when determining whether the job constitutes past relevant work: was the job recently performed, was it performed at the substantial gainful level and was the job performed for a long enough period so that it could be learned. The recent component has to do with work which the claimant has done in the past 15 years. (20 C.F.R. § 404.1506 (b)(1).) The Commissioner of Social Security uses 15 years as a cutoff for considering which jobs fall into the category of “past relevant work.” The 15 years has to do with the acknowledgment that there is a change which occurs in most jobs in the nation. When those changes do occur, according to the Commissioner of Social Security, it is no longer fair to think that whatever skills have been learned or acquired performing those jobs, continue to be relevant for those jobs. (Social Security Ruling 82-62.) In other words, once a claimant has stopped working in a particular job and has not done that job in 15 years or more, Social Security assumes that the skills learned in that job are no longer applicable to how a person performs the job today. A corollary question to consider when looking at the 15 years, is “15 years from what date?” The answer is that the look back period is the 15 years before the specific time of determination or adjudication of the claim. For example, if the review of the claim is at the initial stage, then the 15 years look back is from the time of initial stage back 15 years. If, however, the claim is at the hearing stage, then the look back is 15 years from the hearing. Given the fact that there are lengthy delays (often time years) to have a hearing, jobs within the 15-year range at the initial stage, may not be in that range by the time a hearing occurs. The end of the 15 year period is different in a Title II case where the claimant’s date last insured ends before the claim reaches a particular claim stage. In those cases, the 15 year period ends at the date last insured. For example, if the claimant last worked April 1, 2000, and the date on which a claimant last met insured status was May 1, 2015, and the adjudication of the claim occurred on March 1, 2015, then the job last performed on April 1, 2000, is considered past relevant work. However, if the consideration for the claim occurs at a date after May 1, 2015, then the there be no past relevant work. The reason for this because the 15 year period is between May 1, 2000, and May 1, 2015. The 15-year time frame is not the only criteria in deciding whether work performed in the past is past relevant work. In addition to this period, there must be an assessment made about whether the work performed was performed at the level called “substantial gainful activity.” (20 C.F.R. § 404.1575.) Substantial gainful activity means that the claimant must be earning at or above a certain monthly amount. 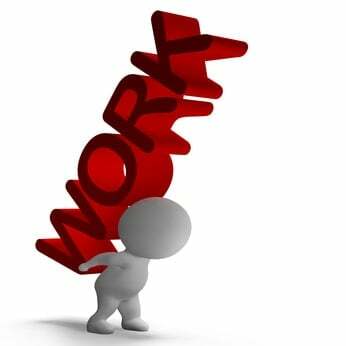 The attempt here is not to include as past relevant work all types of work activity but only work activity which results in “substantial” income. The Commissioner publishes, on an annual basis, the gross earnings, above which constitutes substantial gainful activity. For 2017, the amount is $1,170 for non-blind claimants and $1,950 for claimants who are blind. Finally, for work to be considered past relevant work the claimant must have performed the work long enough to have been able to learn how to do the job. For example, if a job normally takes three months to learn and the claimant only worked in the job for one month, that job will not be past relevant work even if the work paid over the substantial gainful amount and the claimant did the work within the 15-year period.